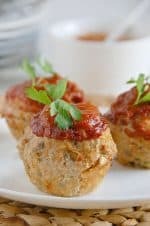 This veggie Paleo meatloaf muffins recipe is made with ground turkey and ground pork rather than ground beef, which gives it a really nice flavor. I have to say, I have a meatloaf muffin recipe that I love already but this one tops that recipe! The more exciting part about me loving this one more is it is Paleo! I am able to enjoy meatloaf while maintaining a Paleo lifestyle. I decided I wanted a Paleo meatloaf muffins recipe that didn’t use ground hamburger. I don’t know about you, but I get sick of hamburger – plus it’s a good idea to eat a wide variety of food. These meatloaf muffins end up having tons of flavor and are moist, thanks to the vegetables. And by mixing both ground turkey and ground pork, they are both light and flavorful. 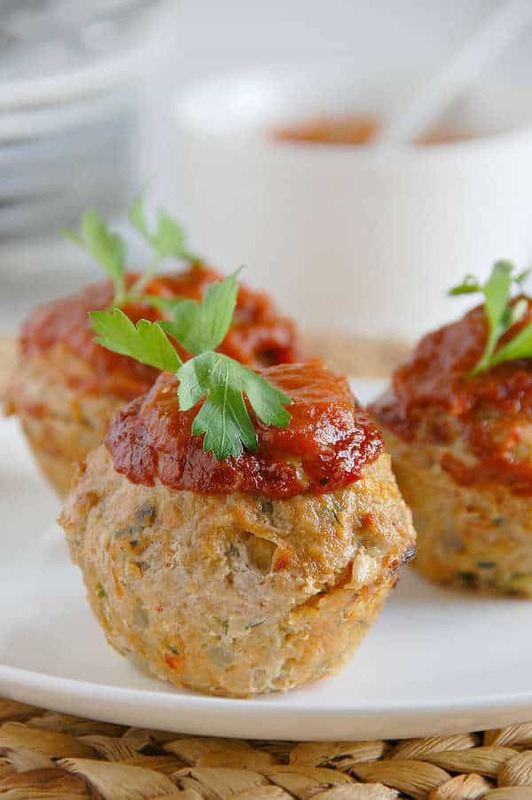 These Paleo meatloaf muffins are great for parties and family dinners. It makes a pretty big batch and they are already portioned and easy to serve. They are also nice to have all made ahead of time and ready to re-heat on the go when you are in a hurry, or simply don’t want to cook. Think lunch, snacks, and even breakfast. Such a great idea! A few notes about cooking them – the coconut flour helps bind them. But if you want to use a different non-Paleo flour, like white flour, you should use about three times as much, so about 3 Tablespoons. 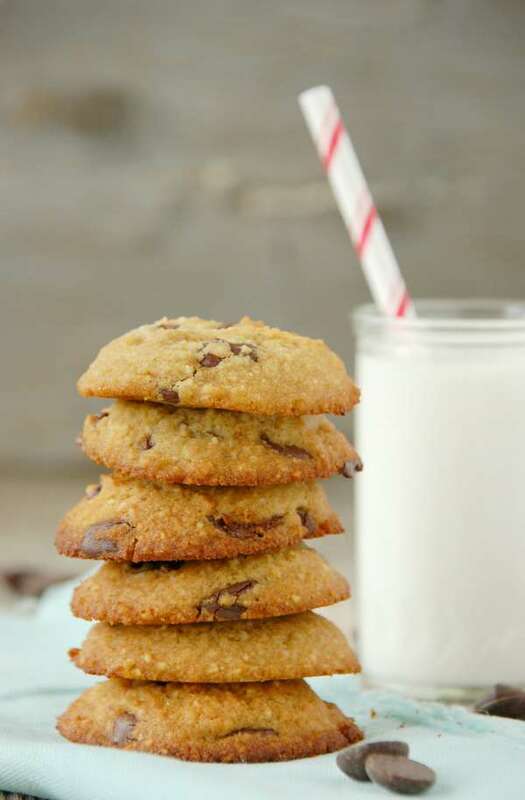 You should be able to substitute any kind of milk you want for coconut milk. You can also use either boxed or canned coconut milk for this recipe. The roasted tomato sauce can be made up to two days in advance and stored in the fridge until needed. It’s also a good multi-purpose sauce and good to keep on hand and also good to have extras to dip your meatloaf muffins in. 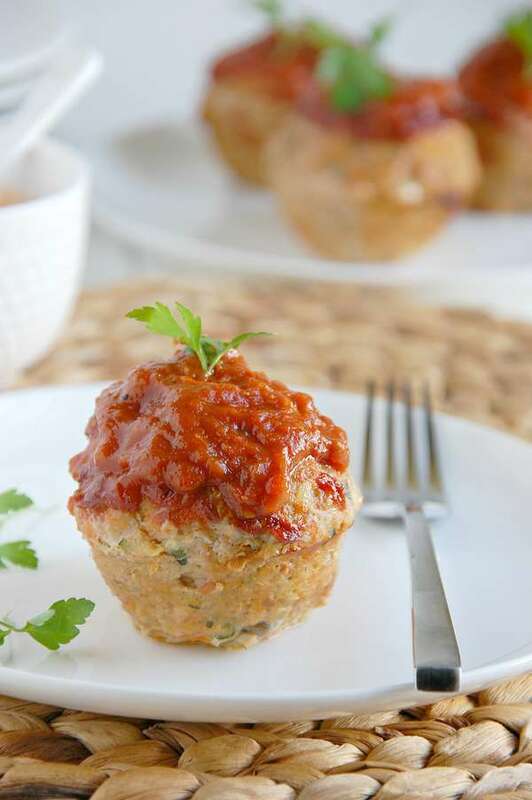 We hope you enjoy these Paleo meatloaf muffins! Please share your comments and feelings with us! 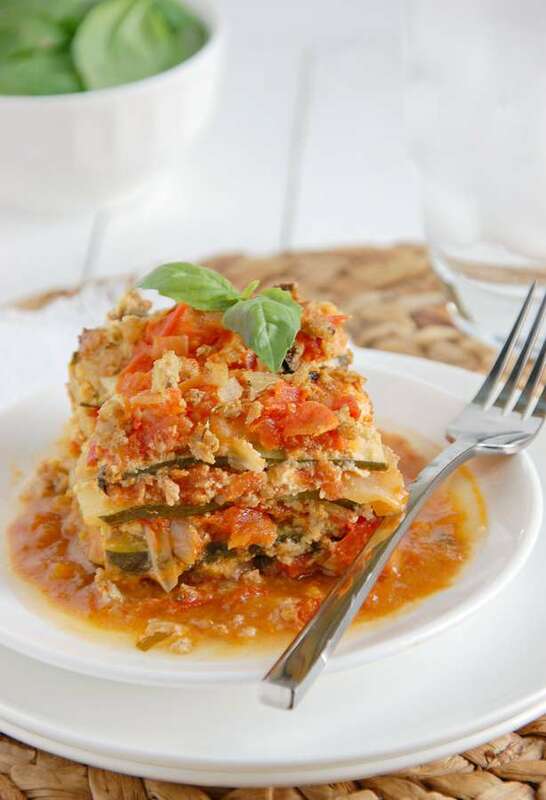 We love to hear your experiences with our recipes. 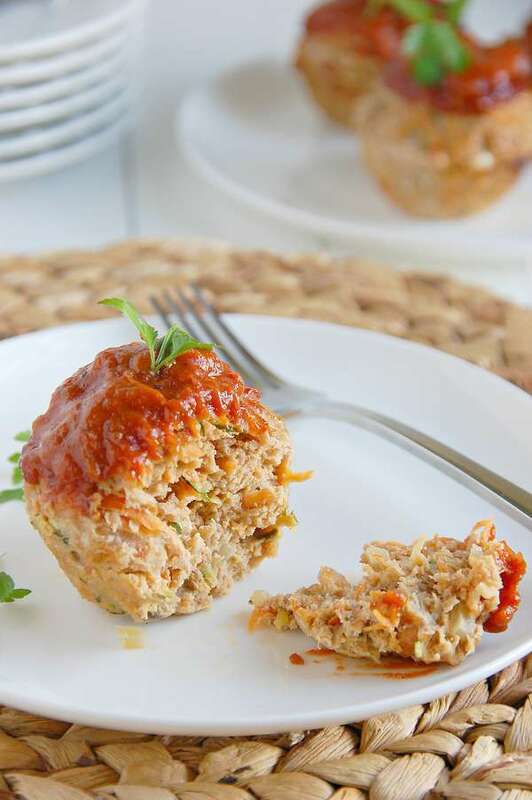 A vegetable-packed meatloaf muffin recipe, with ground turkey and ground pork. 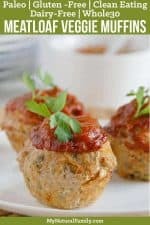 They are topped with a flavorful sugar-free tomato sauce. Place the halved tomatoes, cut side up, on a greased baking sheet and drizzle the olive oil over the tops. Season lightly with salt and pepper. Roast the tomatoes for 1 1/2-2 hours on the top rack. Remove from oven and let cool slightly. Place the roasted tomatoes, honey, balsamic vinegar,tomato paste, water, apple cider vinegar, ground mustard, garlic powder and salt in a blender and puree until smooth. Use in and on top of meatloaf muffins. Can be made a day or two ahead of time. Preheat oven to 400 degrees and lightly grease a muffin tin. Heat the olive oil to medium/high in a large saute pan. Add the onion, garlic, carrot, mushrooms,zucchini, and herbs to the pan and saute for about 5 minutes, until the vegetables are soft and onions are translucent. Place the sauteed vegetables in a large bowl and let cool for 5 minutes. Add the ground turkey, pork,tomato sauce, eggs, egg whites, coconut milk, coconut flour, salt, and pepper to the vegetables and mix together very well using hands. Let sit for 5 minutes so that the coconut flour can fully absorb liquid. Divide the meat mixture into 12 portions. Shape each portion into a ball and place in well of a muffin tin. Muffins will be tall and dome shaped on top. Bake meatloaf muffins for 20-25 minutes, until cooked through. Remove from the oven and, using a spoon, lift the meatloaf muffins out of the tin onto a platter. Scrape off any fat that may have clung to the sides of the muffins. Top each muffin with a spoonful of the remaining roasted tomato sauce (make sure it is hot). Serve immediately. *Meatloaf will be wetter than a non-paleo meatloaf. It will still hold together very well and is very moist and tender. *Roasted Tomato Sauce can be made up to two days in advance and stored in the fridge until needed. *Canned coconut milk is not necessary, the carton variety will work just fine. These look amazing!! Do you think the eggs can be substituted in this recipe? Flax eggs? I’m not sure. I’ve done that quite a bit for baked good, but not savory meals. But I’m not sure it totally needs a binder at all, but really some extra tomato sauce, arrowroot starch or your favorite flour would all help bind it together just enough to help them hold their shape. Thank you for all the recipes! Trying to change the way we eat! 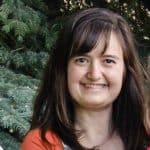 I have M.S. and my husband is a sweet loving Diabetic lol! You’re welcome. I hope you find some you like! These look so good to me. I like how they are small because they will cook faster and they are in individual portions. The kids will love having their own individual serving. Can’t wait to try them real soon!